The kitchen is known as the heart of the house, most of us spend a lot of time in the kitchen making meals and special treats. But it is hard to keep kitchen clean and orderly. 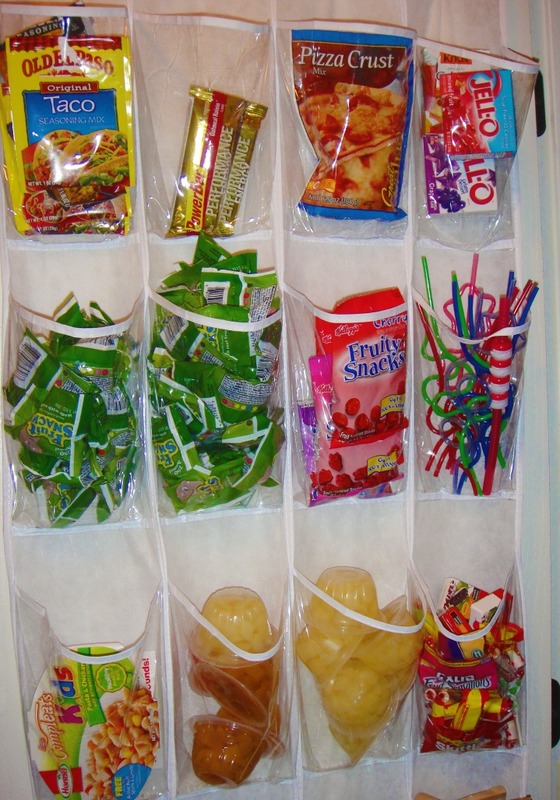 It should be well-organized and designed for functionality and beauty. You will discover things you can do to ensure that your own kitchen works for you so that all of activities that need to get done in there are completed very easily and on time. 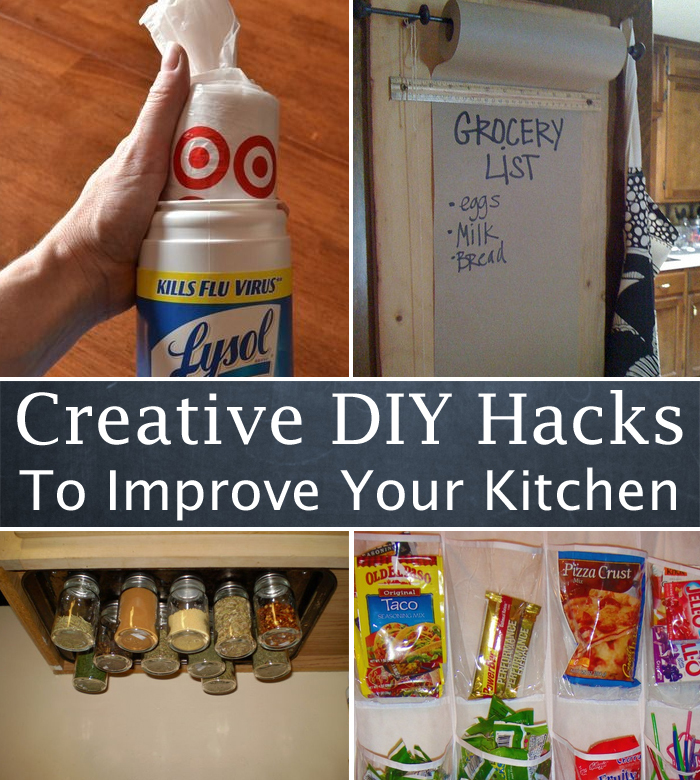 So here are some creative DIY hacks to improve Your kitchen ! 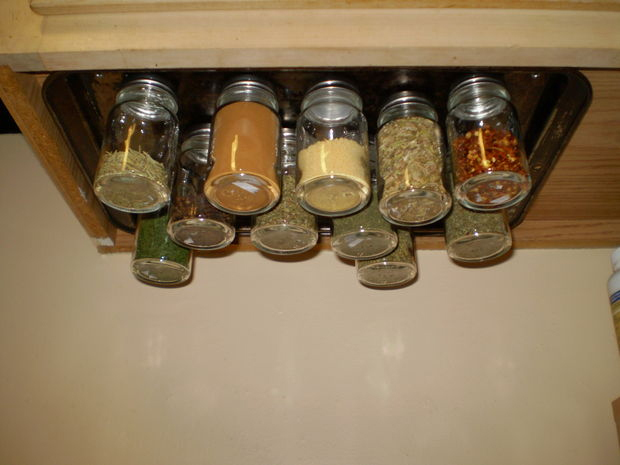 This spice rack sure does make our spices more organized and accessible. 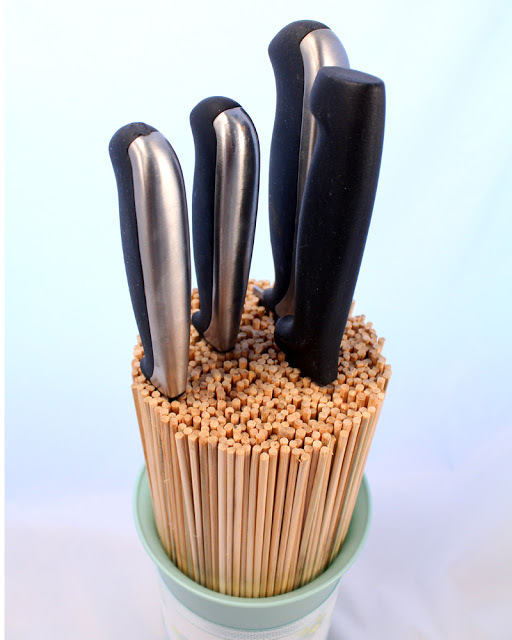 Nice safe place for your knife storage. Nice way to make plastic bags accessible and easy to transport. Reorganize your messy under the sink cabinet. Brilliant yet simple idea. It is a really wise use of space, especially for those who have many random kitchen trinkets and tools. 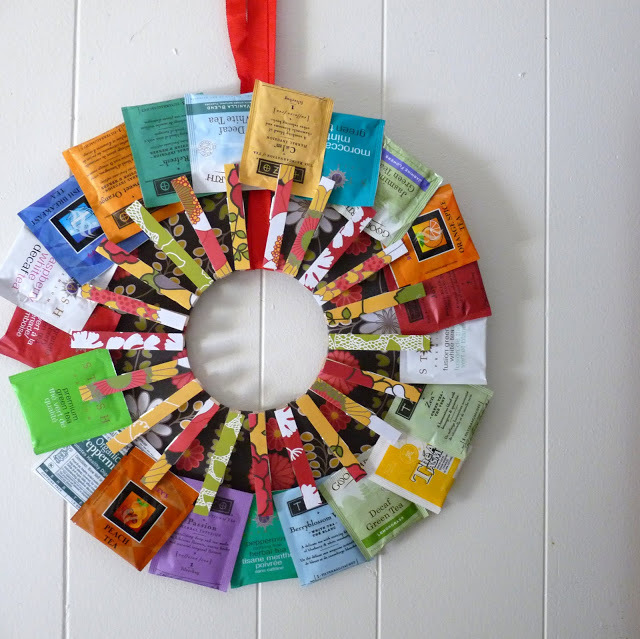 I’m a huge tea drinker, so I know how crazy it can get with a million boxed stashed all around the kitchen. I love these solution! 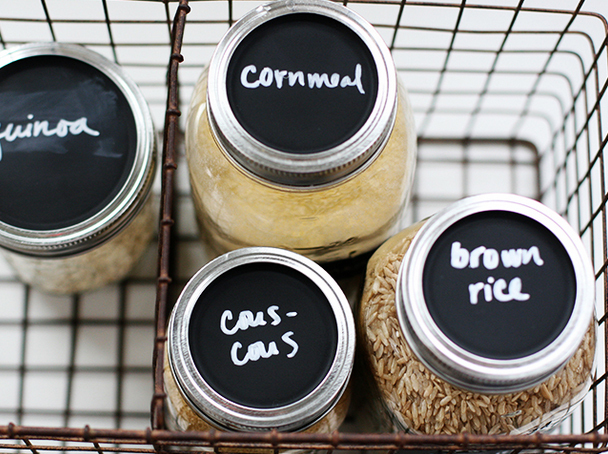 Here is a great DIY idea to store grains and label them neatly. 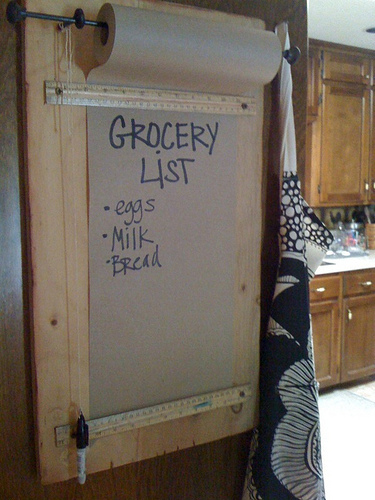 This roll of brown paper makes amazing infinite place for shopping lists. 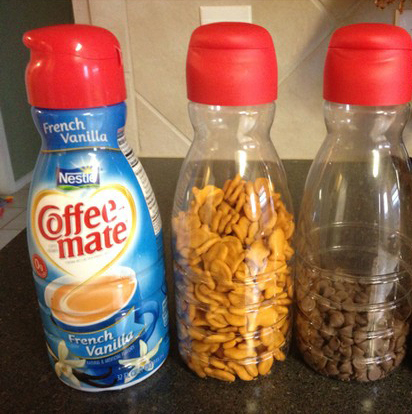 Awesome way to re-use this coffee creamer bottle. 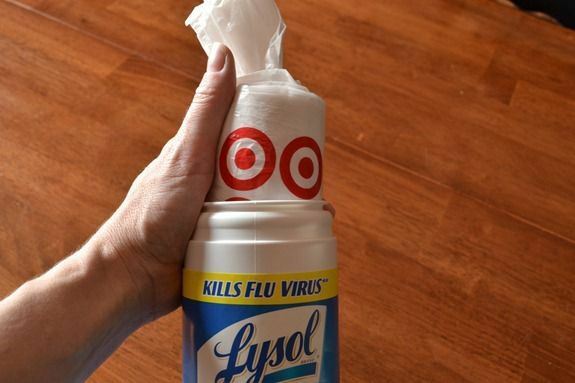 Simply clean them out and peel off the labels. 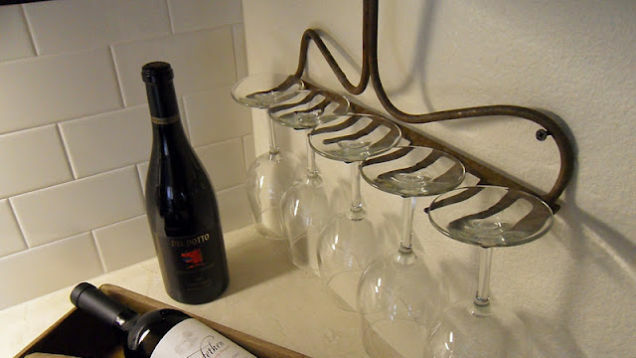 Repurpose an old rake as a wineglass holder.